Players leave (with pucks) from opposite corners at the same time. Players break, with speed, around pylons for a shot on goal from the circle. 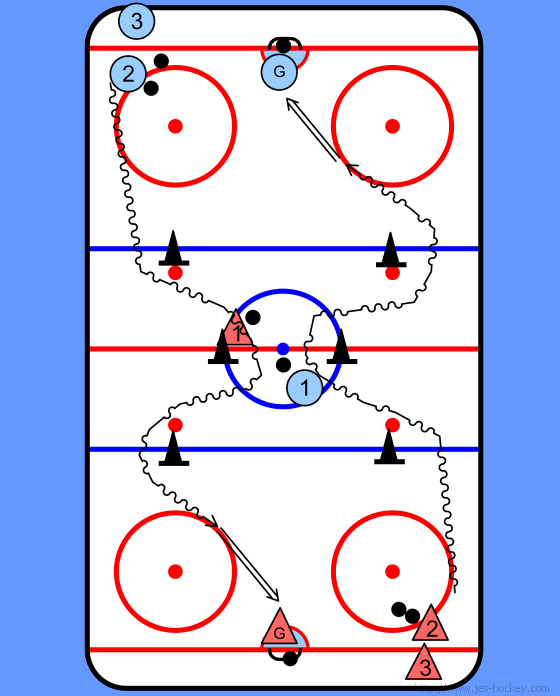 Players then cut back up ice, accept pass from player 2 and continue through pylon course for a second shot at opposite end. After making the pass to player 1, player 2 takes a second puck and breaks through the pylons for a shot on goal, following the course and flow of the drill.